Fully operational, self contained Brake Rig, cross diagonal hydraulic circuit, based upon Toyota Yaris. 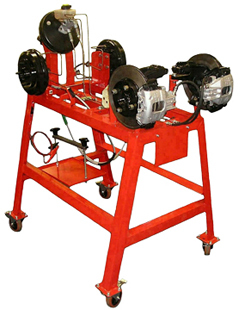 Training Rig includes: front disc/hub assemblies, rear drum/hub assemblies, master cylinder and servo. Brake components mounted on a frame complete with castors.